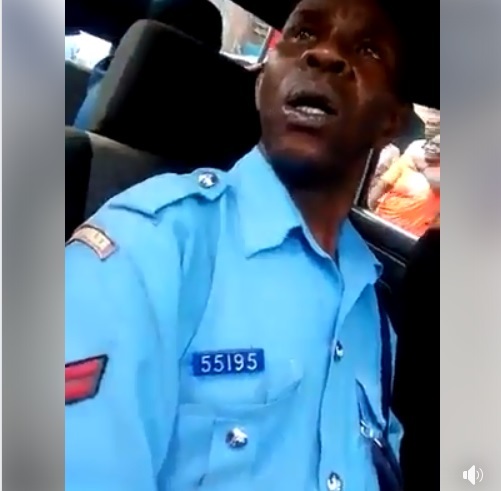 Tuesday, January 29, 2019 - This rogue cop was caught on camera driving a police vehicle while drunk like a skunk in broad-daylight. Members of the public cornered the cop, who was in full police uniform, and demanded to know why he was drunk during working hours. Looking at the cop’s dented face, it’s without a doubt that he spends most of his time in drinking dens. How can such an alcoholic skunk serve the public? Matiangi should watch this video and do the necessary.